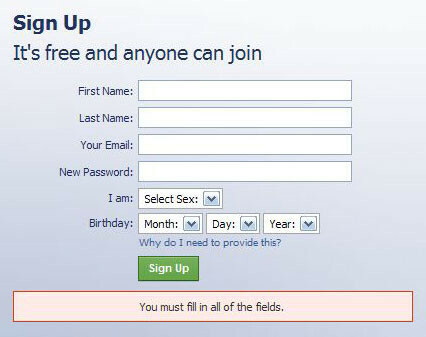 You must fill in all of the fields. You must indicate you full birthday to register. 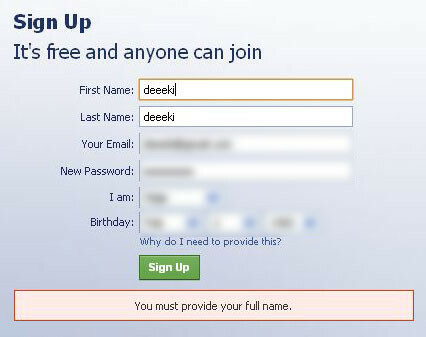 Sorry, you are ineligible to sign up for Facebook. The name contains too many repetitive characters.